I attended the training and was able to clear the certification exam. It was worth attending as the quality of training material and trainer was good. A major city in the state of Texas, Dallas has a thriving economy, being third on the list of Fortune 500 companies in the United States. The city is a modern metropolitan place, with a large urban centre, and is home to a number of international companies. Scrum is a process of Agile product development, which uses a conventional approach to handle company processes. The Certified Scrum Developer certification is given to the individuals who have shown that they have a handle on Scrum standards, and have specialized in the technical knowledge of Agile. The CSD certification is held in 2 sessions- the first session includes the basics of working in an environment that requires Scrum processes. The second session offers a 3 day Technical Track and has both theory and practical sessions. 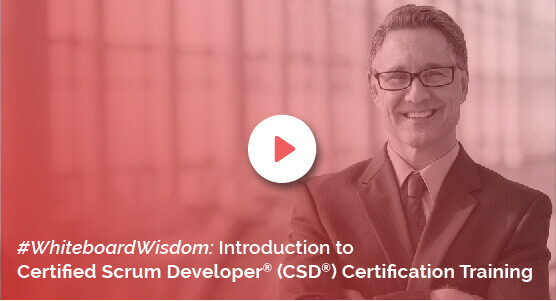 The CSD certification in Dallas workshop is a 5 day classroom training program wherein students learn the foundation and the fundamental of Scrum processes. The benefits include the rapid creation of software, practice in a practical manner and collaboration with cross functional teams. The Certified Scrum Developer training in Dallas also provides knowledge on creating a software that does not need rework, and show students how to support a collaborative ownership of code. KnowledgeHut ensures that the curriculum of the CSD training in Dallas is not too complex and breaks down the complicated concepts into simple terms for better understanding of the course. The CSD course in Dallas acquaints students with the writing of software using object-oriented techniques and processes. The online training at KnowledgeHut provides information that is beneficial for any exam that a student may want to write for this course. The CSD course is a well laid out course with a reasonable price structure. The online class provided by KnowledgeHut enables professionals to stay ahead of the curve and gain an edge over their peers.